The city of Austin and the University of Texas are working to fix issues with Red River Street. AUSTIN, Texas — The Austin City Council on Thursday unanimously approved a new road project that will overhaul Red River Street in a major way. The University of Texas is asking the City to foot an important bill for a big road project near the school, as a sort of "credit" toward a possible golf course purchase. The decision affects the future of the Lions Municipal Golf Course, as the lease for the property between the University of Texas and the City is set to expire in May. People advocating for an extension of the lease planned to highlight the almost 100-year history of the course in Austin. They said it was the first racially integrated municipal golf course in the south. 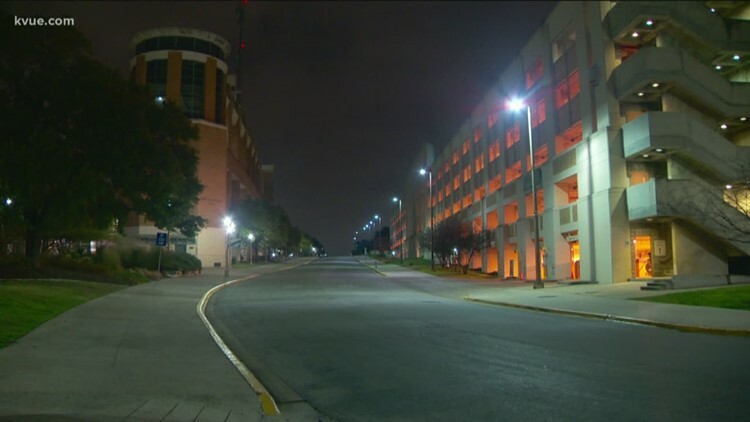 Looking at the road project, this could create issues, especially if you're going to a UT game or going near the arena. Red River will be shifted to the west side of the stadium, routing it on what is now Robert Dedman Drive and up to East Dean Keeton Street. Dedman Drive is already narrow, so this could possibly lead to slower and more congested traffic. Leaders from UT say the university's stem needs to realign Red River to accommodate expansion of the Dell Medical School and the new arena. According to our partners at the Austin American-Statesman, the university proposed the City pay the estimated $25 million to make these changes. In exchange, UT will "credit" that cash toward the City for when they buy the Muny Golf Course. It could also go towards other possible future projects. At a work session earlier this week, some city council members expressed a number of concerns. "Authorize negotiation and execution of an amendment to the Brackenridge Development Agreement regarding property located along Lake Austin Boulevard near the intersection of Lake Austin Boulevard and Exposition Boulevard and to the Lions Municipal Golf Course lease, both with the Board of Regents of the University of Texas System, to extend the Notice of Cancellation dates, to extend the termination dates to May 25, 2020 or such later date as may be agreed to by the parties, to make other amendments approved by Council, and to authorize a lease payment for the golf course in an amount not to exceed $497,663 per year." "Authorize negotiation and execution of interlocal agreements with the Board of Regents of the University of Texas System and Central Health relating to the realignment of portions of Red River Street between East 12th Street and East 32nd Street and the relocation of associated utilities and authorize the execution of rights of entry in support of the project. District(s) Affected: District 1, District 9."